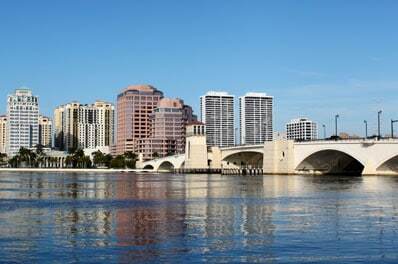 West Palm Beach, a city within Palm Beach County, is the oldest municipality in South Florida and has a population of 101,043. You might be surprised to learn that it was incorporated two years before Miami. West Palm Beach boasts breathtaking waterfront views, historic neighborhoods, an astonishing variety of culinary delights, and an array of charming shops. With its tree-lined streets and mild year-round temperatures, locals and visitors alike know they’ve found a real gem. All Points Mobile Shredding has proudly served West Palm Beach with on-site document shredding services since 1994. We founded All Points Medical Waste in 2013 to begin providing medical waste services to small and mid-size waste generators in the area. It has always been our mission to offer unsurpassed customer service, competitive rates, and keep all our clients safe and secure through our range of services. We’re proud to say that All Points Medical Waste is a woman-owned and operated business. We provide our clients with a full suite of medical waste disposal and compliance training services. If you are interested in All Points Medical Waste services in West Palm Beach, please contact us by phone or complete the form on this page.